you will LOVE the Rose Cafe paper collection by Bo Bunny! Rose Cafe' features a gorgeous paper collection with color combinations such as bright yellow, various shades of blue, a mossy green, burgundy, brown and pale rose! It's a perfect collection for any paper crafter because it's so versatile! 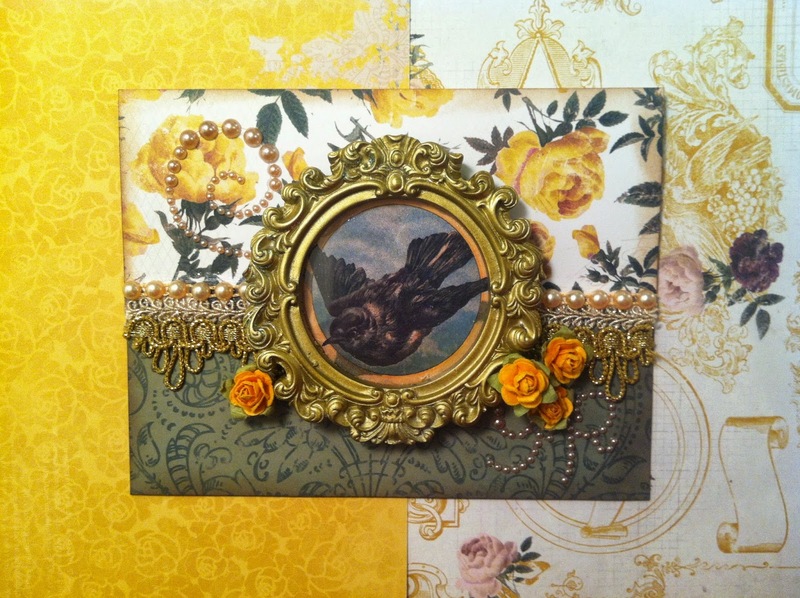 you will receive beautiful die cuts, layered chip board images, stamp stickers, pretty ribbons, gemstones, buttons, brads and other fun ephemera to create gorgeous one-of-a-kind cards. In addition to the Bundle, The Rose Cafe' collection can also be purchased separately here. 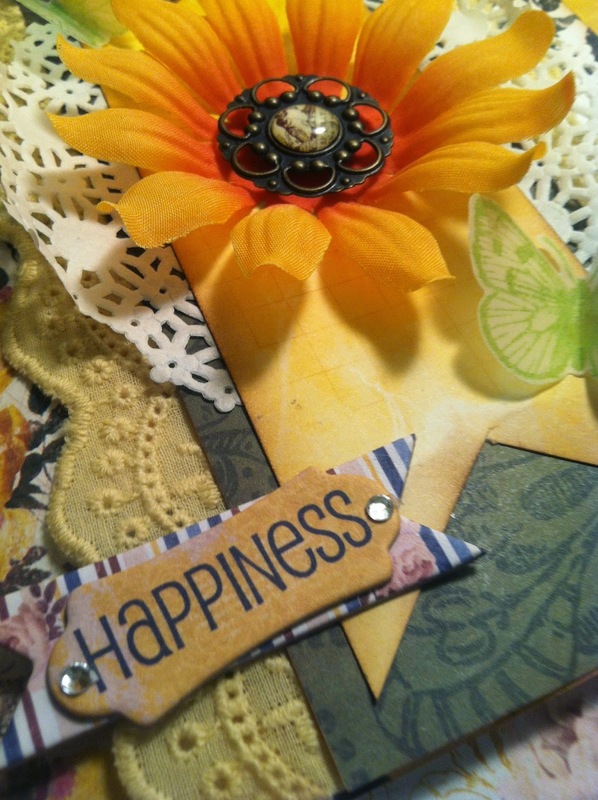 made with papers and embellishments from the "Rose Cafe' I want it All" Bundle. 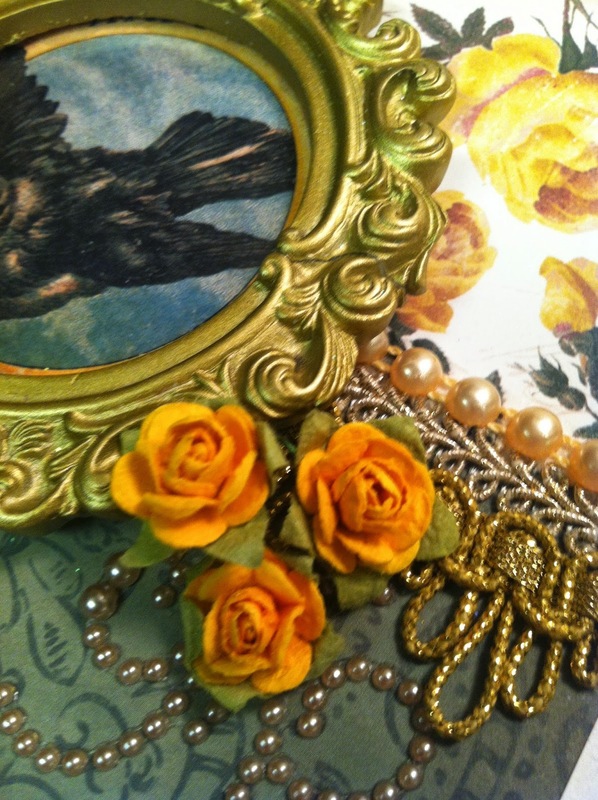 You can find hundreds of beautiful roses, flourishes and other ephemera in our online store. I trimmed the die cut image of the bird to fit the little resin frame! 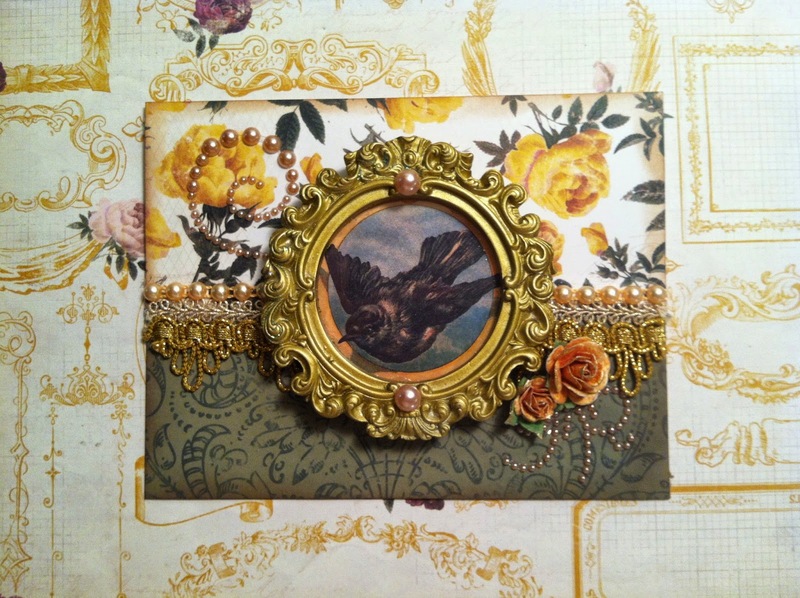 See how the bird image from the Noteworthy pack appears to actually be soaring in the clouds! and added two large pearls to the frame. 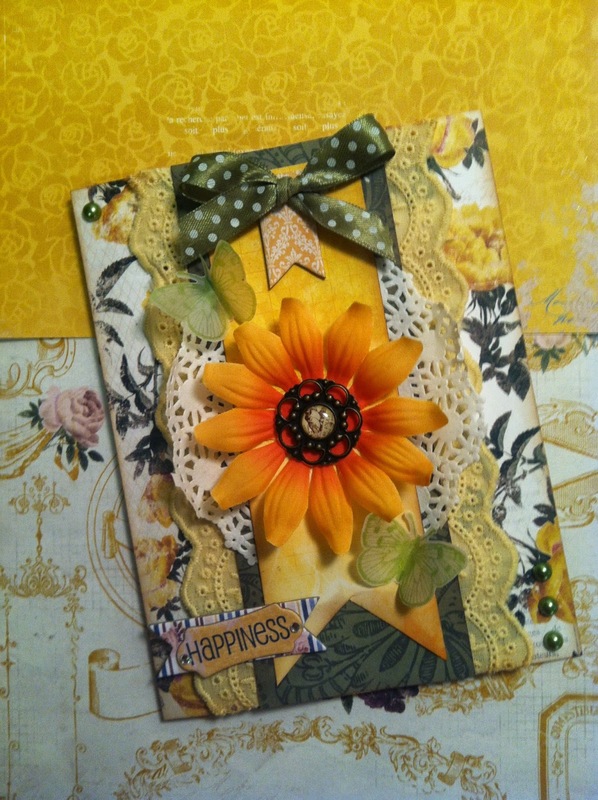 In this version of the Flower card, yellow roses were added near each vellum butterfly. The Rose Cafe collection by BoBunny is beautiful and versatile! 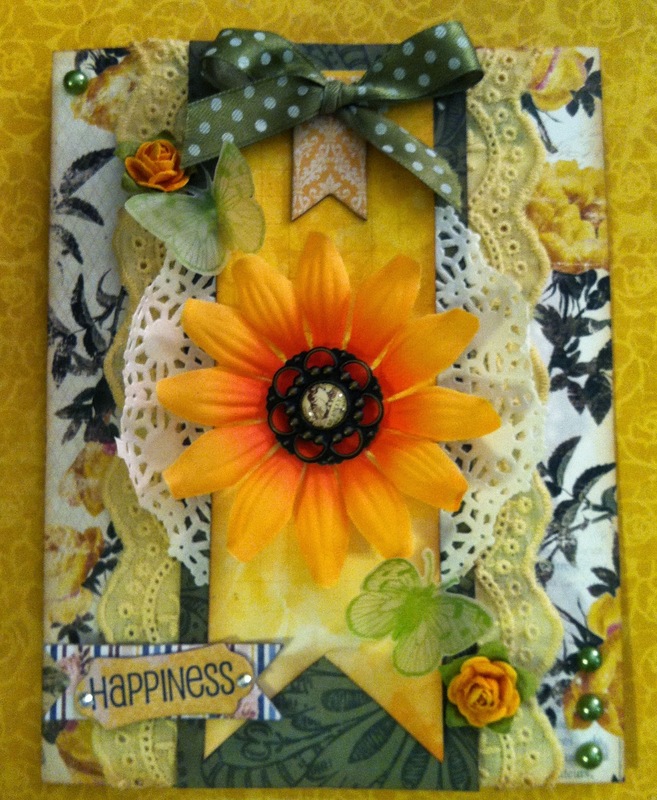 It's paper collection and it's ephemera packs are perfect for making gorgeous handmade cards. But there is more on the menu than cards at the Rose Cafe'! Check back soon to see what I mean!